Supported Devices: Penny Finder 1.8.5 is compatible with iPhone6s-iPhone6s, iPhone7-iPhone7, iPadAirCellular-iPadAirCellular, iPadProCellular-iPadProCellular, iPhone8Plus-iPhone8Plus, iPadPro97-iPadPro97, iPadAir3Cellular-iPadAir3Cellular, iPhone7Plus-iPhone7Plus, iPhone5s-iPhone5s, iPhoneXR-iPhoneXR, iPad75-iPad75, iPadMiniRetina-iPadMiniRetina, iPad856-iPad856, iPadMini4Cellular-iPadMini4Cellular, iPadAir2-iPadAir2, iPadMini5-iPadMini5, iPhoneSE-iPhoneSE, iPadMini3Cellular-iPadMini3Cellular, iPadAir3-iPadAir3, iPhone6-iPhone6, iPadMini4-iPadMini4, iPadAir2Cellular-iPadAir2Cellular, iPad611-iPad611, iPadMini3-iPadMini3, iPadPro97Cellular-iPadPro97Cellular, iPad812-iPad812, iPhoneX-iPhoneX, iPodTouchSixthGen-iPodTouchSixthGen, iPad73-iPad73, iPad76-iPad76, iPadAir-iPadAir, iPad834-iPad834, iPhoneXSMax-iPhoneXSMax, iPhone6Plus-iPhone6Plus, iPhone6sPlus-iPhone6sPlus, iPad612-iPad612, iPad72-iPad72, iPadPro-iPadPro, iPadMiniRetinaCellular-iPadMiniRetinaCellular, iPad74-iPad74, iPad71-iPad71, iPad878-iPad878, iPhoneXS-iPhoneXS, iPadMini5Cellular-iPadMini5Cellular, iPhone8-iPhone8. Android and Windows Phone devices are supported when you access this page via your flatforms. Welcome to Penny Finder! Where like-minded, savings savvy, penny pinching people come to find the latest and greatest penny finds from Dollar General*! WE NOW HAVE OVER 3700+ VERIFIED PENNY ITEMS AND COUNTING! Join the THOUSANDS of other Penny Finders! - OFFLINE MODE: Our app will still work even if you have no internet, just make sure you have downloaded the list at least once. 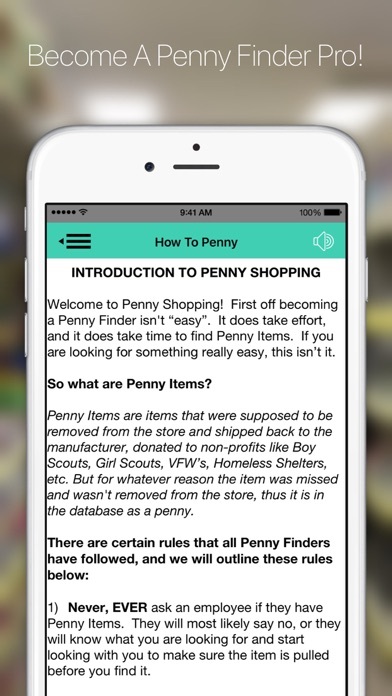 - Add your own Penny Items to the list using our Penny Scanner! 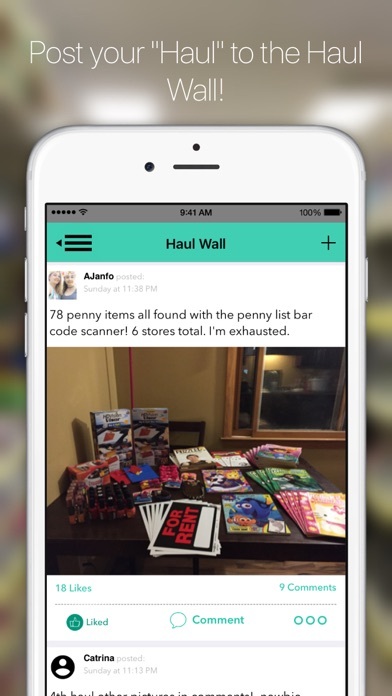 - Post your amazing finds on our Haul Wall! - You can flag penny items that you know are full price to have them removed. 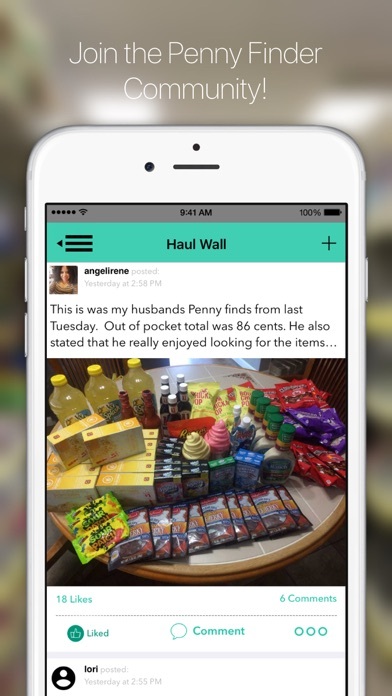 - You can add Penny Items to your favorites for quick viewing later. We assume that you know what penny items are. We assume you know what store this app is for. We assume that you know that UPC codes are very important and critical to finding the correct penny items. (you shouldn't penny shop based off only images). WE CANNOT GUARANTEE THAT THE STORES YOU VISIT WILL HAVE PENNY ITEMS. 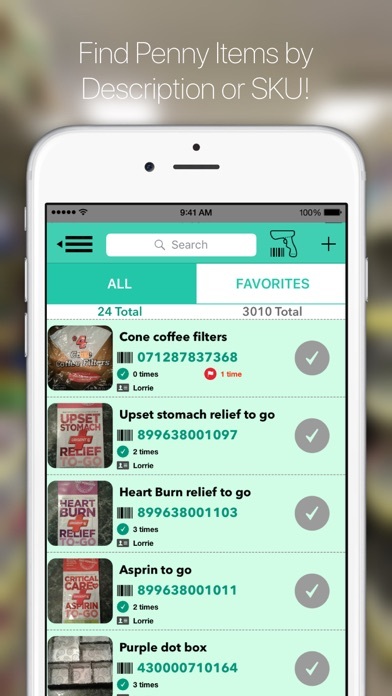 THIS APP IS NOT A PRICE SCANNER, it's a Penny Scanner. *PENNY FINDER IS NOT ASSOCIATED, AFFILIATED, SPONSORED BY, OR ENDORSED BY DOLLAR GENERAL.